This modern theater building from the 1980s is still one of the most talked-about buildings in Prague. Its characteristic form, designed by Stanislav Libenský and constructed from more than four thousand blown glass blocks, drastically changed the neo-Renaissance appearance of the street. It’s part of the National Theatre and the home of the Laterna Magica and other original projects. You can buy tickets for the performances of Opera, Ballet, Drama, Laterna magika at the Estates Theatre and the Karlín Music Theatre. Tickets can be purchased personally at any of the National Theatre box offices or in the Colosseum Ticket sales network and online on the official website of the National Theatre (payment by credit card, bank transfer, Masterpass application, payment on delivery). By selecting performances in the programme you start an online purchase of tickets. 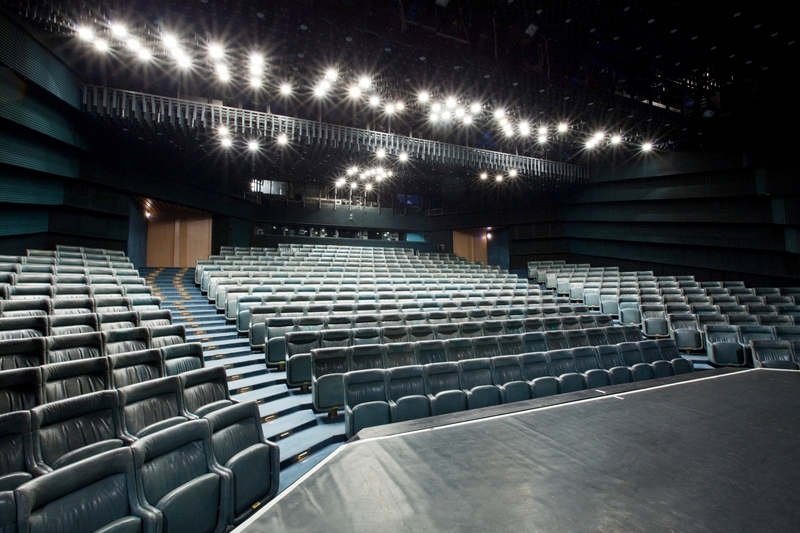 Guided tours of the National Theatre’s New Stage take place approximately once a month. Laterna Magika: is a unique multimedia theater which principles are based on a combination of stage performances, sound and film images. It was performed first at Expo 58 in Brussels.